The endgame was smoothly done. On August 2, 2015. A Sunday. Reporters gathered at the White House to receive details of the Clean Power Plan (CPP), a regulation that aims to reduce carbon dioxide emissions from US power plants 32 per cent below their 2005 levels by 2030. The plan, quietly informed Gina McCarthy, administrator of the US Environmental Protection Agency (EPA) and chief plan overseer, was under the Clean Air Act; legally, it is solid. White House adviser Brian Deese was triumphant. According to him, the new EPA rules were nothing less than the “biggest step that any single president has made to curb the carbon pollution that is fuelling climate change”. The plan was formally unveiled the next day. The White House released fact sheets and a statement, which linked CPP to the global climate treaty. “Taken together, these measures put the United States on track to achieve the president’s near-term target to reduce emissions in the range of 17% below 2005 levels by 2020, and lay a strong foundation to deliver against our long-term target to reduce emissions 26 to 28% below 2005 levels by 2025,” read the statement. A two-and-a-half-minute video appeared on Facebook. 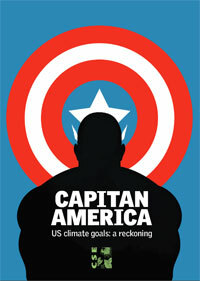 Called ‘A Memo to America...’, the video uses stereotypical climate change tropes. A solemn, Solomon-like voice-over explains the imperative of tackling global climate change: it is that of the president himself, justifying his plan. CPP was first announced in June last year. It faced the usual opposition from free marketeers and climate sceptics in the US. Over a year, it was revised. EPA released final rules in June 2015. That generated a positive buzz. As The Guardian reported, Al Gore said the new rules were “the most important step taken to combat the climate crisis in our country’s history”. Michael Brune, executive director of Sierra Club, the oldest environmental group in the US, said the president had “made good on his promise to American families that his administration would tackle the climate crisis, and clean up and modernise the way we power our country”. On the eve of the unveiling, think tank Ceres—that directs a network of institutional investors with collective assets totalling more than US $13 trillion—organised an initiative in which 365 companies and investors sent letters to two dozen state governors, stating their support for CPP. After the august unveiling, the world took up the refrain. “The Plan,” said Stéphane Dujarric, spokesperson for UN Secretary-General Ban Ki-moon, “is an example of the visionary leadership necessary to reduce emissions and to tackle climate change.” Speaking to reporters in New York the day the plan was formally unveiled, he also said, “We believe that this plan shows the United States’ determination to address global warming while also saving money and growing economy.” The Associated Press reported that CPP had tougher than expected emissions targets. It was referring to the fact that whereas a draft CPP had mentioned a 30 per cent reduction, that figure was now being raised to 32 per cent. BBC’s Tom Bateman wrote that Obama was hoping “Monday’s announcement secures his legacy on climate”. The twitterati were thrilled to 140 bits. Some, such as Greenpeace and 350.org, were sceptical. But, largely, the world accepted CPP was the best the US could do. Is that so? It is worth noting, to begin with, that the so-called reduction of power sector emissions by 32 per cent from the 2005 emissions levels is not a target. It is a projection. Of what would happen to total emissions from the US’ power sector if CPP were implemented in an assumed growth, energy price and energy mix scenario. What CPP has done is just lay out a way for power plants and different states to comply with its projection. If the scenario changes—say, the US’ growth rate doubles than the assumed scenario, or oil and gas prices reduce significantly than assumed—then the outcome will be different. Thus, this metric—32 per cent reduction from 2005 levels, a figure much bandied about—is misleading. CPP is misleading for another reason. 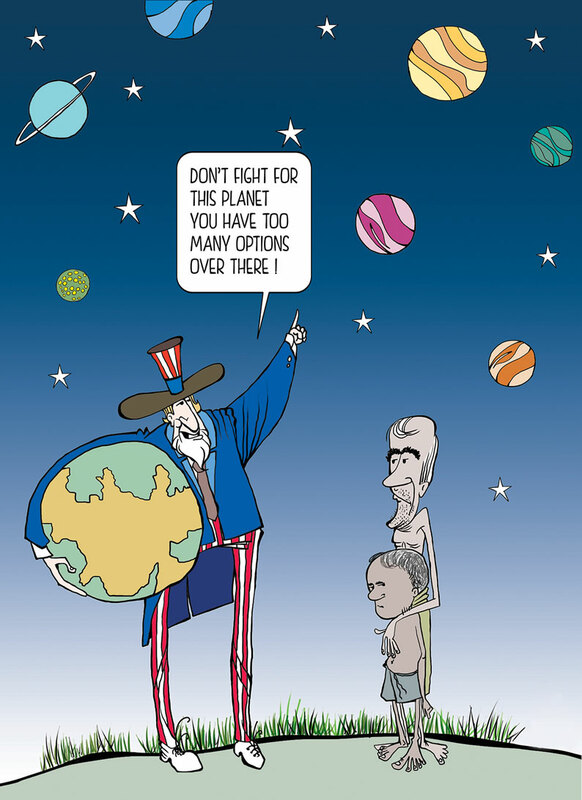 For that matter all commitments of the US on climate change are misleading. It takes 2005 as the baseline year for emissions reduction. 2005 was a year in which US emissions peaked. Whereas US emissions have fallen but also risen, year-on-year, since then, the US has picked and promoted 2005 as the baseline year for emissions reduction, first in the global climate treaty arena and now in CPP. To be honest, if the baseline year in CPP had been 1990—which is the baseline year chosen in the Kyoto Protocol of the United Nations Framework Conference on Climate Change—then the projected emissions reduction by 2030, à la CPP, would have been a paltry 15 per cent. CPP comprises two key elements. One is setting carbon dioxide emission guidelines—a limit, if you like—for existing coal- and gas-based power plants. The second is converting these standards into state-specific emission goals for the entire power sector. EPA has also notified, separately, CO2 emissions standards for new, modified and reconstructed power plants. These standards are so poor that the existing gas fleet will meet them without even changing a screw (see ‘Limits or limitless?’,). 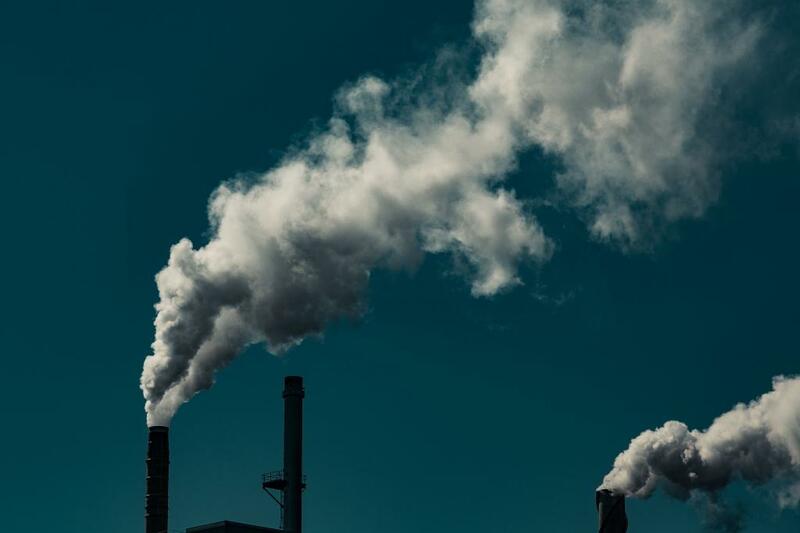 Ample room for fossil fuel In THE Clean Power Plan the US Environmental Protection Agency (EPA) has fixed emissions standards for existing coal-based power plants at 1,305 lb CO2/MWh, or 592 kg CO2/MWh. Gas-based plants can emit only 771 lb CO2/MWh, or 350 kg CO2/ MWh. EPA arrived at these numbers after taking into consideration actions a power plant could take to reduce emissions. These actions include making fossil fuel power plants more efficient, switching to natural gas and scaling up a plant's share of renewable energy use. EPA has also notified, separately on August 3, 2015, CO2 emissions standards for new, modified and reconstructed power plants. For base load gas-based new and reconstructed plants (base load plants are those that run for 24 hours, on a certain capacity), the standard is 1,000 lb CO2/ MWh-gross or 454 kg CO2/ MWh-gross (megawatt hour-gross denotes all the power a plant produces, including what it itself uses). According to EPA, a natural gas combined cycle technology can meet this norm. For a new coal-based power plant, the emission standard has been fixed at 1,400 lb CO2/ MWh-gross or 635 kg CO2/ MWh-gross. As per EPA's analysis, a new highly efficient supercritical pulverised coal unit with partial carbon capture and storage (about 20 per cent of carbon capture) can meet this standard. The CO2 emissions standards for new, modified and reconstructed power plants are shocking to say the least. The standard the US has set for new gas-based power plants is significantly higher than what the new gas-based power plants are already meeting in the US. In fact, these standards are so poor that all the existing gas fleet will meet these standards without even changing a screw. The current fleet-wide emission rates of gas-based plants are 894, 899, 951 lb/MWh in the East, West, and Texas, the three main electricity grids, respectively. Gas-based power plants in India were already meeting these standards in 2009. As Challenge of the New Balance, a 2010 report of Delhi non-profit Centre for Science and Environment, shows, average emissions of gas-based plants in India were 470 kg CO2/MWh, with many plants emitting as low as 410 kg CO2/MWh. The US standards for new coal-based based plants are tougher but can be met with emerging technologies. The implication is frightening: the US is open to setting up more fossil fuel power plants within its national boundaries. It is, in fact, encouraging industry to set up inefficient gas-based plants. It also exposes US hypocrisy. The US, of late, has put pressure on multilateral banks and financial institutions not to fund coal-based power plants in developing countries. But it has kept the option open for itself. CPP defines state-specific goals in terms of carbon intensity goals, that is, specific CO2 emissions per unit of electricity generated in the state. This a state must reach by 2030. For each state, EPA has calculated the goal by taking into consideration the CO2 emissions performance of existing plants and each state’s mix of energy sources to produce electricity. States can also opt for mass-based standards specifying tonnes of CO2 a state can emit from its electricity sector by 2030. Here, EPA has used a method to first estimate how much emissions are allowed in 2012 and then add to it the emissions growth allowable till 2030 due to increase in electricity generation. But when all emissions are added up and divided by the electricity generation in 2030, it has to meet the state-specific carbon intensity goals. Every state can meet its target the way it prefers. It can do so by closing old coal plants, increasing natural gas use, adding renewables in the energy mix, increasing energy efficiency in homes and shops, putting a carbon tax on electricity consumption or emissions from power plants, even working with other states to set up market-based systems such as cap-and-trade. In CPP as it now stands, states have to submit plans on how they will comply latest by 2018. EPA will vet and clear their plans. The states must implement approved plans 2022 onwards. Here is a compromise: in the draft CPP, the schedule to start reducing emissions was tougher; the cuts had to begin from 2020, instead of 2022. The draft CPP and the final August 2015 version differ in another way. Uniform national CO2 emission standards for existing gas and coal plants were absent in the draft rules. Instead the draft rules contained state-specific goals that reflected EPA’s calculation of the emission reductions that a state can achieve through the application of the best system of emission reduction. These two changes have been made to facilitate emission trading between states. The net result of these changes, as EPA projects, is a shift from 30 per cent CO2 reductions in the electricity sector by 2030, over 2005 levels, to 32 per cent. There will also be some increase in use of renewable energy. After the draft CPP was released in June 2014, the Energy Information Administration (EIA) of the US went through it with a fine toothcomb. EIA looks into the implications of legislation on the energy sector. So how will CPP decarbonise the US’ electricity sector? CPP does not mandate particular energy mix. It projects emissions reductions if all states implement their carbon intensity goals or mass-based targets. Since states have huge flexibility to meet their targets, it is difficult to predict the mix of energy and the final emissions reduction in 2030 and beyond. Therefore, EIA has developed multiple scenarios to project what CPP could achieve. How much emissions WILL BE CUT? EIA analysis shows electricity sector CO2 emissions in the base policy case or CPP scenario—a median scenario under which EIA projects energy supply, demand and prices, based on CPP regulations and market conditions, up to 2040—will be 25 per cent below 2005 levels by 2020 and 34 per cent below by 2030. In all the modelled scenarios, US power plants will achieve at least 22 per cent emissions reduction by 2020 and 29 per cent by 2030. The maximum reduction projected by the most climate-ambitious scenario is 26 per cent by 2020 and 36 per cent by 2030, compared to 2005 levels. But these numbers hide a lot more than they reveal. The electricity sector in the US is already emitting 15 per cent less than what it was in 2005. During 2005-2014, this sector’s emissions have reduced 1.8 per cent annually, largely due to a switch from coal to natural gas. The switch has been dictated by cold economics in which it is cheaper to produce electricity from gas than from coal (see ‘Going gas’ above). The ELECTRICITY generated from natural gas in the US has increased from 12.3 per cent of the total generation in 1990 to 27.4 per cent in 2013. During this period the contribution of coal to the total electricity generation has decreased from 52.5 per cent to 38.7 per cent. The main reason for this switch is the price competitiveness of natural gas. It is an attractive alternative fuel for new power plants because of relatively low capital costs and higher efficiency compared to coal. Currently, it also has lower operating costs (see graph), thanks to the shale gas boom (see `Shale trail', Down To Earth, 16-31 July, 2015). That's why the switch, climate change or not. 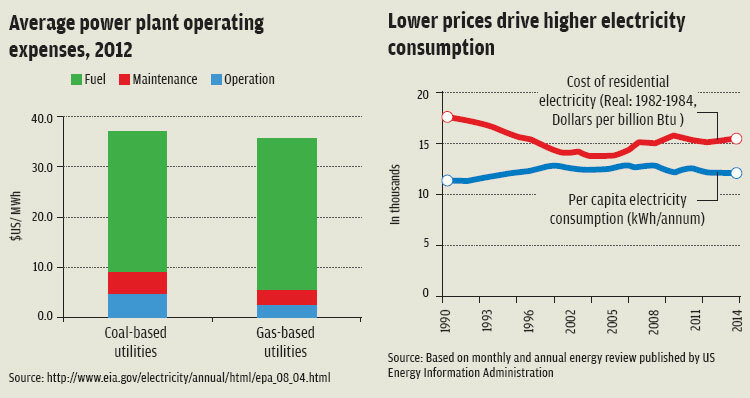 In 2012 (the latest available data), the average operating costs of gas-based electric utilities was US $35.67 per megawatthour (MWh) compared to US $37.20/MWh for coal-based utilities. Considering that the gas prices have reduced in the US since 2012, the operating costs of gas-based power plants would have reduced further. The competitive advantage of gas-based power plants over coal is likely to continue. The levelised cost of electricity from a new gas-based power plant is expected to be significantly lower than that of a coal-based power plant in 2020. In fact, in 2020 the cheapest way to produce electricity in the US would be to build an Advanced Combined Cycle Gas-based power plant, a kind of gas power plant currently built across the world. A coal-based power plant in 2020 would produce electricity at 30 per cent higher cost than gas. This is the reason the US electric power sector is projected to depend increasingly on natural gas power plants in all scenarios—­business-as-usual scenario as well as in Clean Power Plan scenarios. But cheap electricity from gas-based plants also means that the US will struggle to reduce its CO2 emissions. Per capita electricity consumption in the US has gone up from 11,373 kWh/annum in 1990 to 12,113 kWh/annum in 2014. The increase is driven by reduction in the price of electricity. There is a strong relationship between the price of electricity and its per capita consumption in the US (see graph). In fact, the coefficient of correlation between the two is a strong -0.9. This means policy prescriptions to improve efficiency and reduce power consumption are not working in the face of cheap electricity. Even if this sector emits, by 2030, 34 per cent less than what it did in 2005, the annual rate of reduction from now till 2030 is only about 1.6 per cent. In other words, the annual rate of reduction in the future, as imagined in CPP, is going to be less than what has already happened. How, therefore, is CPP ambitious? How is it “historical” as Obama has claimed? CPP also does not enable a significant reduction in total emissions from the electricity sector. By choosing 2005 as its baseline to cut emissions, the US has concealed the huge emissions increase that happened from 1990 to 2005. If, instead of 2005, 1990 is used as a baseline, the true picture of what CPP enables—actually, glosses over—becomes clear. Compared to 1990 levels, there will hardly be any reductions till 2020 in the power sector in the US, under all projected scenarios. In 1990, this sector emitted 1,865 million metric tonnes (MT). What will it emit in 2020? In the most climate-ambitious scenario EIA has modelled, the least this sector will emit is 1,800 million MT—just four per cent below 1990 levels. Next question: what happens by 2030? By 2030, the US’ electric power sector will emit at least 1,550 million MT. This is just 17 per cent below 1990 levels. 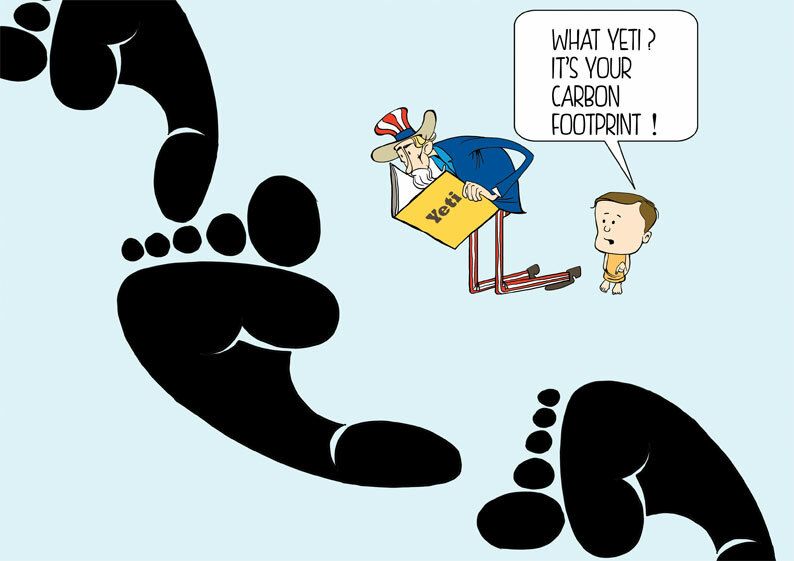 In fact, 1,550 million MT is a hell lot of CO2 emissions. It is equivalent to 75 per cent of the total CO2 emissions from India from all sectors in 2012. 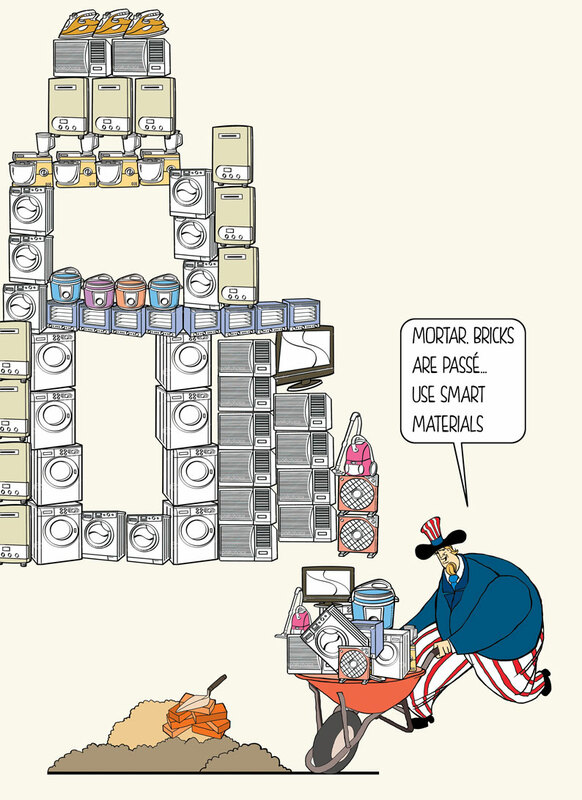 Fathom it: just one sector of the US will emit, by 2030, 75 per cent of what India in toto emitted in 2012 for 1.2 billion people. Wow! That’s the plan! A good way to attain clarity regarding CPP is to look at the projected energy mix in 2030: which energy sources are going to be used, or not. It is quite clear from the modelling done by EIA that if oil and gas prices will be low, the US will try to achieve its CPP projections by using large quantities of natural gas. If expensive, renewables will play a more significant role. But it is clear that till 2030 most of the emissions reduction will happen due to more use of natural gas and less use of coal. So, the past trend will continue. Let’s look at the energy mix more closely. Fuel by fuel. King coal : In the CPP scenario, coal production comes down by 20 per cent by 2020 and 32 per cent by 2030. This matches projected reductions in CO2 emissions. Coal production reduces further in a scenario where gas is highly available and prices are low. In this scenario, coal production can reduce by 40 per cent by 2030. However, in all scenarios the least amount of coal the US will produce in 2030 is still going to be around 600 million MT. That’s really high: equivalent to what India consumes today. 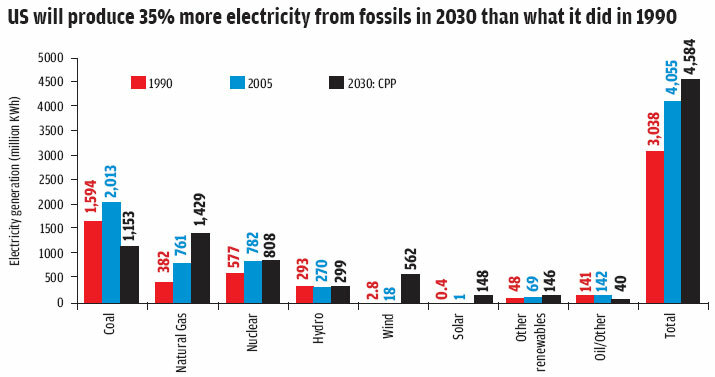 In fact, in the CPP scenario, coal production in 2030 could well be as high as 725 million MT. Prince gas : In all scenarios, natural gas production continues to increase till 2030 and beyond. In fact, in all scenarios, natural gas production will be about 75 per cent higher than 2005 levels. Indeed, in the scenario where gas is highly available and prices are low, production could more than double compared to 2005 levels. The orphan : Even in 2030, the total electricity produced from all renewables (excluding hydropower) in the US will still be 25 per cent less than the amount produced from coal. If hydropower is included, total electricity from all renewables is going to be the same as that produced using coal. In 2030, electricity produced from all renewables and coal will be about 25 per cent, each. Gas and nuclear will account for the remaining 50 per cent. Essentially, even by 2030 under Obama’s CPP, fossil fuels will produce 57-60 per cent of all electricity; in 2014 they produced 67 per cent. In 2030, solar power will contribute just three per cent to the total electricity produced. Wind? 12 per cent only. So, renewables such as wind and solar will remain a marginal player (see graphs). All in all, CPP will hardly transform the energy system in the US even in 2030. It will remain fossil-heavy. In 2030, the US will produce 22 per cent more primary energy than 2013 levels. In 2013, 78 per cent of the total primary energy came from fossil fuels; in 2030, 76 per cent will come from fossil fuels. In fact, in 2030, total fossil fuel production in the US will be 20 per cent higher than in 2013. Renewables contributed 11 per cent of total primary energy in the US in 2013. 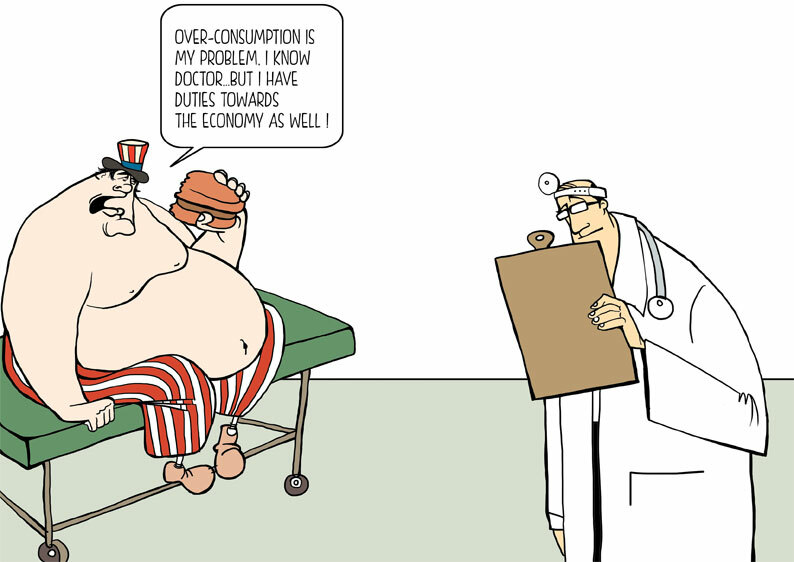 In 2030, this alternative will increase slightly to 15 per cent. How is this plan the most ambitious the US has ever imagined? For a country that has been most unimaginative, or practical, about climate change, is CPP another proof that it has run away from ambition, yet again? Most sadly, has the world lost its capacity to critique and challenge the US?